The first thing to understand is that a tongue that protrudes through the teeth at rest is normal in infants. But like many infant behaviors, we want to see them disappear by a certain age. Between 6 and 12 months, around when babies start eating solid food, they want to move away from a suckle eating reflex pattern they were born with to a more “grown up” feeding and swallowing pattern. However, many children will still have a not fully developed swallowing pattern even till age 7 or 8. So, the first questions is: how old is your child? 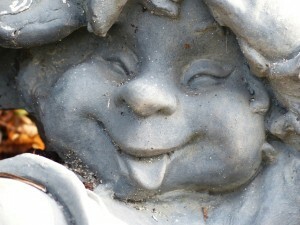 The older your child is, the more likely it is that tongue thrust will be something that would need to be addressed. By the same token, it is very likely that younger children (up to school age or so) will outgrow this immature tongue rest posture and not see his or her speech affected. If you’ve gotten rid of the pacifier in your child’s life or “ditched the passie,” then this recommendation is moot. But your pediatrician probably told you, around your child’s 12 or 18 month wellness visit to rapidly fade the use of a pacifier. 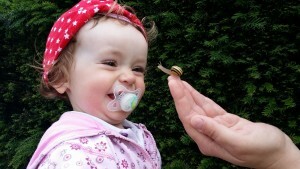 So to be blunt, if you haven’t faded the pacifier or thumb-sucking, do it asap! The longer this goes on the more likely it is that your child will have speech clarity and/or orthodontic issues. These challenges are certainly treatable but prevention is always the best course of action, where possible. Here are some helpful tips for ditching the passie. A very common cause of open-mouth posture at rest and/or tongue thrust is a whole host of ear-nose-throat (ENT) issues. Your truly has had to deal with these throughout his life, from extreme seasonal allergies to a surgically repaired deviated septum. So, if your child sounds what’s called “hyponasal” or like he or she always has a cold, it might be time to see a doctor who specializes in ENT issues. It may be a problem with the adenoids, tonsils or nose itself. A blocked nasal passage will naturally mean that your child has made a mouth-breathing posture habit. This blog post has some important info on this topic. Seasonal allergies or chronic rhinitis could also be the culprit. With either of these conditions, just be observant. If something feels not right with your child’s ENT system, it never hurts to get some information from a doctor. Again, prevention of a tongue thrust early in childhood will eliminate any need for subsequent treatment. So assuming your child is on the older side (i.e. in kindergarten or older), has stopped using a pacifier and has been ruled out for ENT issues, is an observed tongue thrust affecting his or her speech? A child could have a tongue thrust posture at rest but have perfect speech. In addition, a child may also have no observable tongue thrust at rest, but will very visibly protrude the tongue when producing, for example, the S and Z sounds. Does your child thrust the tongue during speech, and is he or she at least 5 years of age? If so, it may be time to schedule an appointment with a great local speech pathologist. Your therapist will be able to assess the impact of a tongue thrust on speech as well as any lingering swallowing issues your child may be exhibiting; does this pattern truly represent a classic tongue thrust? He or she will be able to design an effective treatment plan and should empower you, the parent, to become an active participant in this plan. Your therapist will also be able to determine to what extent a dentist or orthodontist should become involved. After all, an experienced speech pathologist is a crucial member of a team of clinicians but a member of a team nonetheless. However, it is important to keep in mind that with severe dental challenges that are affecting speech, in almost every case, the child would need orthodontic work performed, over a long period of time, before we can expect speech therapy to have any meaningful impact. 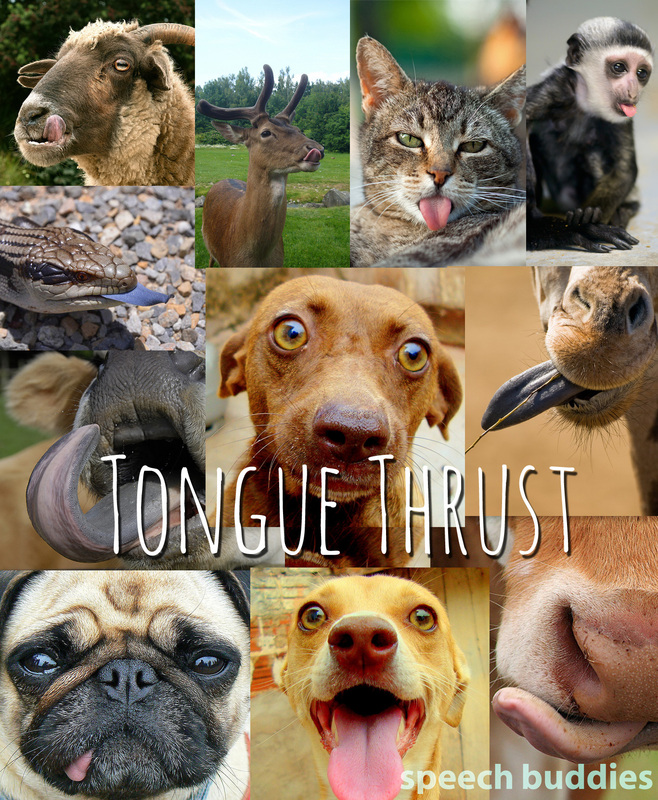 The bottom line is that tongue thrust is a complex issue. Assuming you have successfully faded pacifiers or any other oral habits that may, over time, contribute to anatomical patterns or muscle imbalances, and have ruled out any ENT problems, it may be time to investigate this further. When in doubt, always consult a professional, orthodontist or speech pathologist. A dentist or orthodontist will likely not be able to inform you on the effects of a tongue thrust on speech; likewise, only a dentist or orthodontist can give you a sense of the effect of a tongue thrust on dental structure and the extent to which his or her services may be able to help your child.